New Jersey Governor Chris Christie criticizes Congress for delaying relief funds for the victims of Hurricane Sandy. The House GOP came under a blistering bipartisan assault Wednesday for punting on Sandy relief, with Republican New Jersey Gov. Chris Christie complaining he couldn’t even get Speaker John Boehner to return his calls. Fallout from the surprise vote pullback on a $60 billion aid package mounted by the hour with cries of outrage and calls for revenge. By late afternoon, it seemed like the onslaught was having an effect. The House scheduled a Friday vote on $9 billion in flood insurance funds, to be followed by a Jan. 15 vote on another $51 billion in assistance. It was unclear if the larger allocation would pass – or if the belated vote would mollify the New York and New Jersey politicians who unleashed unusually personal attacks against Boehner and other House Republicans. “They can’t count on any vote from me now,” he said on MSNBC. Christie, who has been touted as a possible White House contender, put the blame for the delay squarely on Boehner and marveled that he called the Ohioan four times before he would take his call. “Shame on you, Congress,” he said, adding that he has received no explanation for the “disappointing and disgusting” decision. The $60 billion request for assistance for to victims of Superstorm Sandy has been passed by the Senate, and House supporters were pushing for a Tuesday night vote. House Speaker John Boehner had quietly decided the House should not pass billions more in spending for Sandy relief, stunning both Democrats and Republicans from the storm-ravaged region. But after being subjected to intense pressure, a vote on some emergency aid will now be held on Friday. NBC's Kelly O'Donnell reports. Instead, King said, Boehner “just walked off” the floor and had an aide break the news that there would be no vote. The House adjourned on Wednesday without considering the measure; lawmakers are back Thursday for an hour before they gavel in the 113th Congress. That promise didn’t quiet the fury. 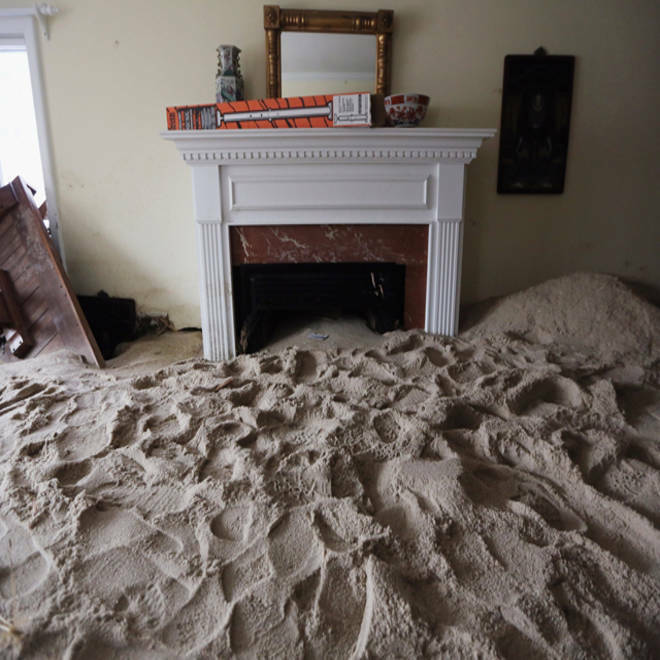 “Totally obscene,” said Tom Jordan, a former firefighter whose house in Rockaway, Queens, was flooded by the storm that killed 120 people and damaged almost 400,000 homes. Those hit hardest by Hurricane Sandy say they are close to the breaking point, their faith in government flagging. NBC's Anne Thompson reports. But it was King who really let his Republican colleagues have it. “The fact is that the dismissive attitude that was shown last night toward New York, New Jersey and Connecticut typifies, I believe, a strain in the Republican Party,” he said on the House floor. “I can’t imagine that type of indifference, that cavalier attitude being shown to any other part of the country,” he added. Although he said he is not thinking of switching parties, King suggested New Yorkers should hit House Republicans who don’t support the bill where it hurts – in the campaign coffer. “These people have no problem finding New York when it comes to raising money. They only have a problem when it comes to allocating,” he fumed. “If this is not delivered and very quickly…anyone from New York or New Jersey who contributes one penny to congressional Republicans after this should have their head examined,” he added on MSNBC. Rep. Peter King, R-N.Y., blasts Speaker John Boehner and Congress for delaying action on a bill that would provide aid toward Hurricane Sandy relief efforts. Boehner is supposed to meet with Republican members of the New York and New Jersey delegations on Wednesday to reassure them that the relief bill will be passed. But King expressed skepticism about a quick vote, noting a majority of House Republicans don’t support the bill and Washington will be soon be preoccupied with the inauguration and the State of the Union. Rep. Darrell Issa (R-California) defended Boehner’s move, blaming the Senate for padding the relief package with non-essential funding. NBC News' Tom Curry and Frank Thorp contributed to this report. Legalized pot, gay marriage: Are we all Washington now?